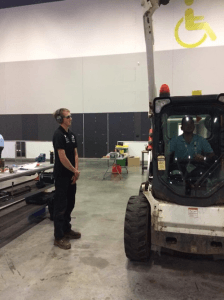 CAMERON LENNOX, a Case IH service technician from our Moora branch, recently gained 2nd place in World Skills Australia National Competition in the mobile heavy vehicle category in Sydney on June 2 2018. Cameron who was nominated by lecturer’s from South Metro Tafe was awarded 1st Place in WA from 14 Contestants in the WA contest. Cameron then competed against 14 contestants in in the same Category mobile heavy vehicle in the National Competition where he came 2nd. Cam is passionate about his job. He has qualified as heavy a diesel mechanic under Tim King our Moora Service Manager. It is a credit to Tim who has trained Cameron to achieve this result. We wish to congratulate Cameron. This is the second year Cam has placed in the competition having won 3rd place in 2017. “WorldSkills Australia is a social enterprise that passionately believes skills drive the future of young people, and of Australia. We are part of an international World Skills movement. We have been enabling young people to showcase their trade and skills talents since 1981. Our skills-based competitions operate at regional, national and international levels, and are aligned to National Training Packages, Apprenticeships Australia and Jobs Australia schemes. Our National Championship is Australia’s biggest vocational education and excellence competition. We promote and build a skills culture, celebrate excellence and showcase vocational education and training. 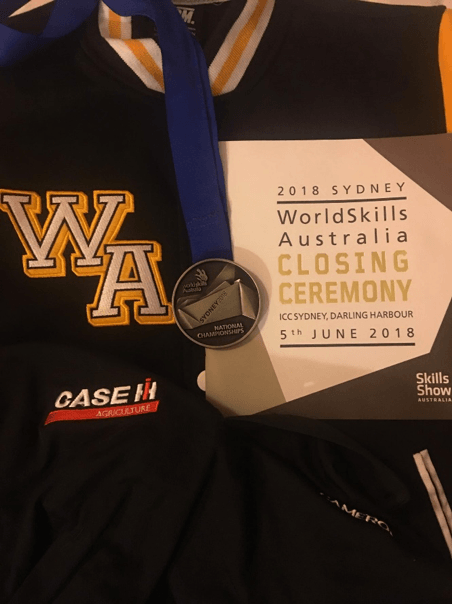 We achieve this by engaging in research, promoting skills, building careers, focusing on education and skills training in Australia, fostering international cooperation and development, and running skills competitions and leadership programs”.